Ok, not really, but we are going to get cozy in our denial and pretend it is Spring. This week there will be some carryovers because we just did not get to all of the activities on our list. Here’s the line-up! Joe showed absolutely no interest in the card number matching game. Jake however tried to rip a few cards. Perhaps we’ll try it again this week. 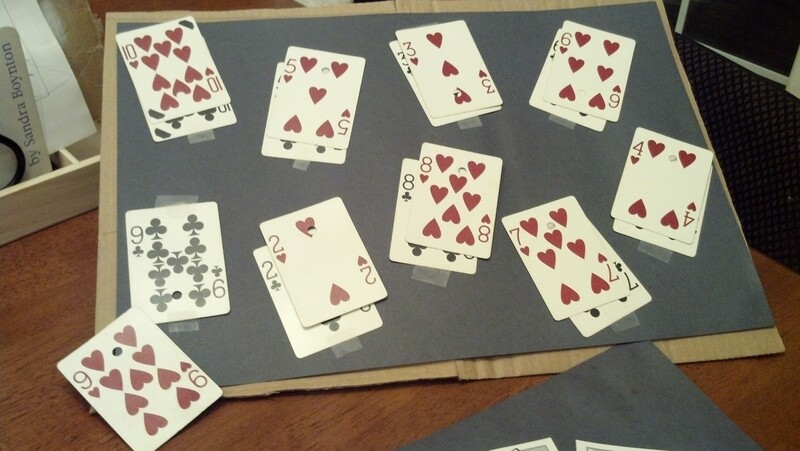 I also found a word family slam game on Pinterest that I am going convert into a number slam. I’ll tape numbers up on the wall and call them out for Joe to “slam” with a bean bag or nerf ball. I think he will love it! The boys had a lot of fun and got quite a bit of exercise playing with the letters on the foam floor mat. They would pick them up and race over to me or Ray, show us the letter and race around the couches. This week we are going to get the kinetic sand out again and practice tracing letters and shapes in it. I’ve seen others do this activity with rice, couscous or quinoa. Last week’s eggsperiment was fun, but kind of a bust. 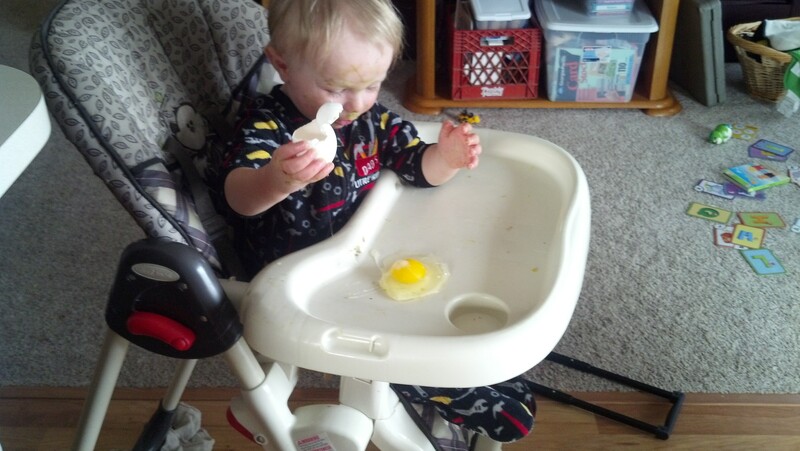 Both boys were able to break an egg by squeezing it for only a few seconds. 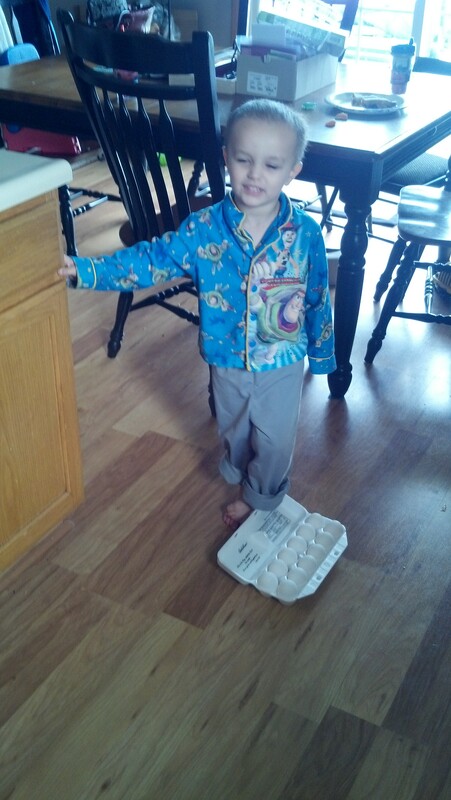 Instead of walking on the eggs, Joe stomped on them and broke a few immediately. The only egg-cersize that did work was stacking books on top of a row of eggs. We stacked four semi-heavy books on top before the boys lost interest. For this week’s science activity we will be making coffee filter flowers (in the hope to encourage Spring to get here fast!). 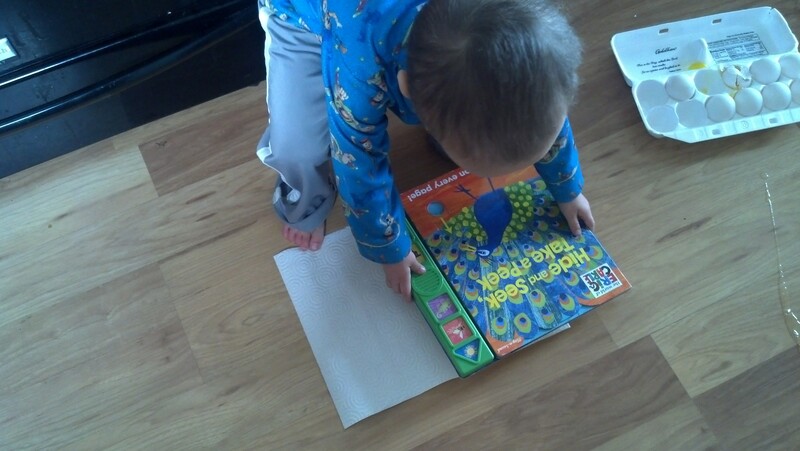 As a bonus, this activity doubles as a craft. The noisemakers did not happen last week so we will see if we can get to them this week. We did have fun singing “Jesus Loves Me” and a few Veggie Tales songs. And that’s the plan for another (slightly less messy) week!